There is a long list of signs and symptoms associated with anxiety attacks, which are more common than you might think. Research shows that almost everyone will experience an anxiety attack at least once during their lifetime. When these episodes occur, they can feel overwhelming — even if the attack only lasts a mere matter of minutes, the physical and mental impacts are often significant. 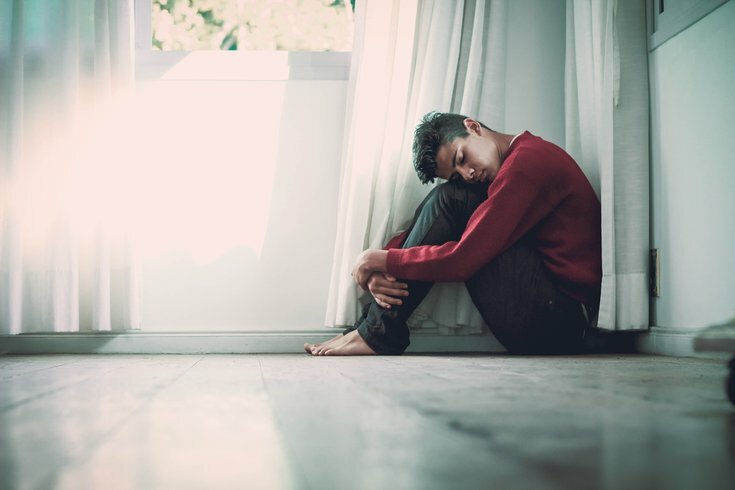 The first thing to understand about anxiety attacks is that the symptoms associated with them, including shortness of breath, dizziness, sweating, trembling, and heart palpitations, may feel powerful in the moment, are not harmful to your overall health. While an anxiety attack itself may be brief, it can lead to a lasting fear of having another episode. Understanding how anxiety affects your body and how to ease physical symptoms with mindful techniques can make all the difference as you navigate your wellness journey. One of the most effective methods for taming anxious thoughts is to focus on your breathing. Taking slow, measured breaths will help to reduce your adrenaline levels, which are more than likely off the charts during an anxiety attack. Breathe with your abdomen rather than your chest, as this will transport much-needed oxygen to your brain. To achieve a Zen-like state, inhale through your nose for a count of four. Then exhale through your nose for a count of six, and repeat as needed. To further foster a calm atmosphere, consider throwing some healing, naturally occurring herbs into the mix. Lavender essences have long been used to relieve general anxiety and bring about a sense of relaxation. Inhaling the scent of lavender oil during an anxiety attack may help relieve some symptoms. Whether you suffer from high degree anxiety, or chronically elevated stress, surrounding yourself with supportive people is another powerful way to overcome the effects of an anxiety attack. Designate a specific point person to act as your guide and your pillar of support when you feel anxious feelings start to surface. It’s important to have people in your life who understand what you’re going through, and who will be there for you without judgement. Meditation is another common method for dealing with anxiety. This practice can be used not only as a preventative measure to reduce symptoms on a regular basis, but also as a means to rekindle a relationship with yourself and your thoughts in the moment. As inconsequential as it may sound, staying attuned to your inner thoughts and feelings is key to maintaining a healthy mental state. Meditation is a great intervention technique to employ during an anxiety attack, and when practiced regularly, it can have a deeply positive influence on your overall health and happiness. Whether it's worrying about things that haven't happened yet or replaying past events in your mind, racing thoughts can quickly lead to an anxiety attack. Instead of letting these anxious thoughts take control, turn your focus to the present. Remind yourself that you are safe, and that the seemingly overpowering thoughts and emotions you’re feeling in the present moment are only temporary. Think about what your body is doing, the sounds, sights, and smells around you, and anything else that can anchor you to what is happening right now. While there is no surefire way to prevent the onset of an anxiety attack, managing your stress in a healthy way is essential to feeling your best, inside and out.